The Edinburgh Restaurant Festival 2018 is well under way. The festival started on Monday 5 February 2018 and comes and ends on Sunday 25 February 2018 – much to the delight of our foodie friends out there. Various venues across Scotland’s capital are taking part this year. We can’t wait for you to experience the mouth-watering menus prepared by some of the finest Scottish eateries. The three-week dining extravaganza allows guests to enjoy special tasting menus. You will also get a chance to meet the culinary wizards behind the kitchen door, and perhaps pick up a few idea to try yourself at home. The festival wouldn’t be complete without a main event to conjure palatable merriment. The finest flavour is left till last for you to savour. The ticketed four-course Moveable Feast will see diners traveling to four very different restaurants, enjoying a course in each and sampling the very best of what Edinburgh’s thriving dining scene has to offer. Every year, the organisers of the festival strive to improve on the last. This year guests will enjoy The Secret Dining Experience where diners will sample delicious food in an unusual and surprising setting. 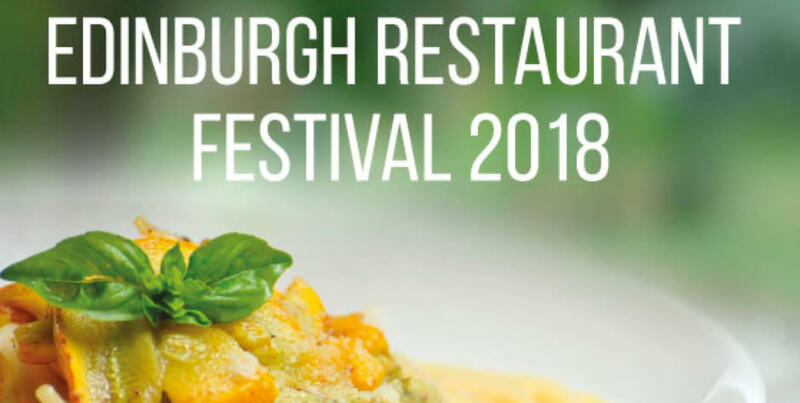 The Edinburgh Restaurant Festival 2018 is the talk of the town. Do not miss out! This is a very popular event and we recommend that you plan ahead. Accommodation at this time of year is in high demand. Why not stay at B+B Edinburgh and make the most of your visit? B+B Edinburgh is perfectly located with quick access routes to all the fun. Contact us today to arrange your booking.